Jenna Dewan-Tatum attends the Raising The Bar To End Parkinson's event at Public School 818, in Los Angeles. Models wear a creation for Vivienne Westwood's ready-to-wear Fall-winter 2015-2016 fashion collection during the Paris Fashion Week. Gigi Hadid, left, Carine Roitfeld, center, and Lily Donaldson pose while they attend the Samsung S6 Party, at the Georges V Hotel, during the Paris Fashion week. 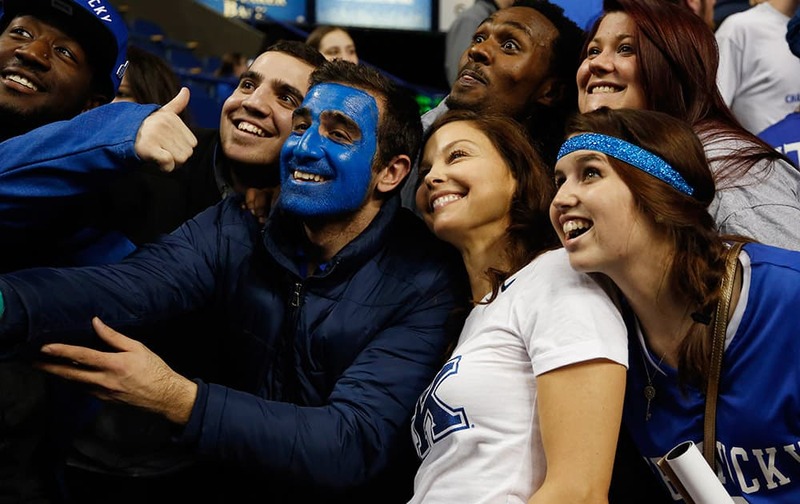 Actress Ashley Judd, second from right, poses with Kentucky fans after an NCAA college basketball game between Kentucky and Florida, in Lexington, Ky. Kentucky won 67-50.